My dad and I caused a bit of a traffic back-up at the North Beach parking lot on our last visit to Fort De Soto. What were we doing? Well, when all the migrant-hunters see two people with cameras sitting in the North Beach turnaround, they flock to see what they are missing. Exotic warblers? A stray tanager? 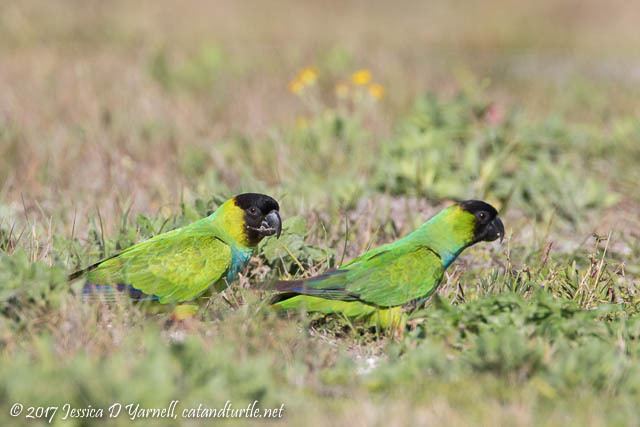 Nope, just some Nanday Parakeets…in a field of yellow flowers! 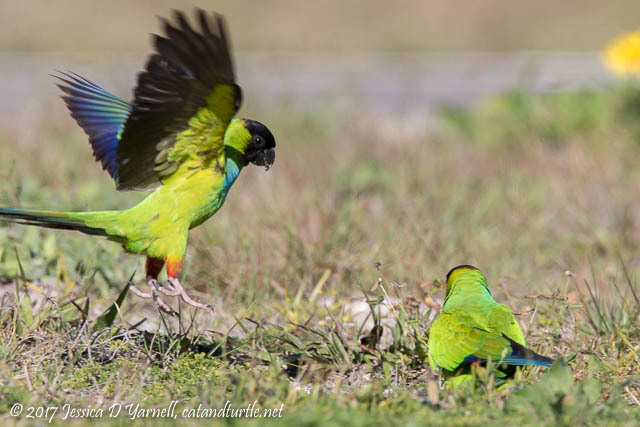 We have a soft spot in our hearts for Nanday Parakeets because my parents have a pet concure. My grandparents rescued her during Hurricane Andrew, when she was caught in between their storm shutters. Now she lives with my parents. It was fun to see her wild cousins hanging out in such a picturesque location. There was a pair of them. When I first spotted them, one was holding nesting material. But I think he dropped it after he spotted the pretty yellow flowers. After all, what bird wouldn’t want to pose for the camera in a field of pretty flowers? OK, well maybe this bird was more interesting in eating the flower than in posing next to it. 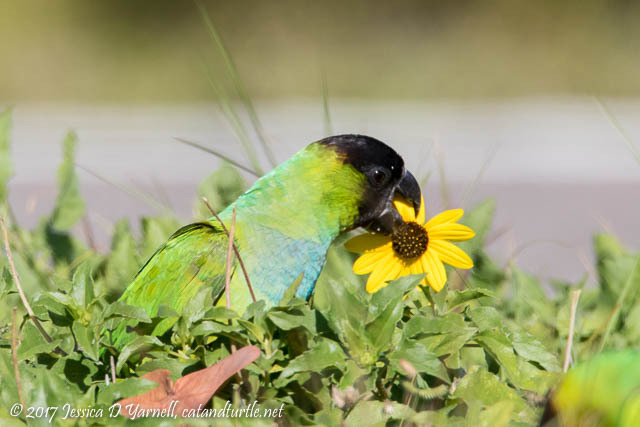 I didn’t know that Nanday Parakeets ate beach sunflowers! 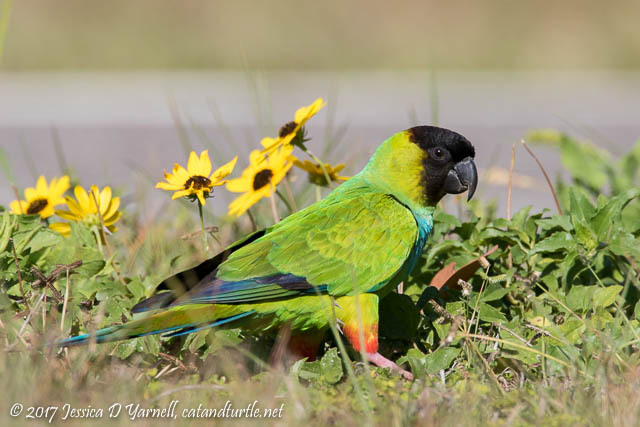 They were really pretty as they quietly fed on the side of the road. I was kneeling in sandspurs and enjoying every moment – at least, until I started noticing the cars backing up to see what we were photographing!